The Cotes de Bourg is a fascinating region that is starting to be recognised on the global stage for its classically proportioned blends that echo the great wines of Bordeaux. 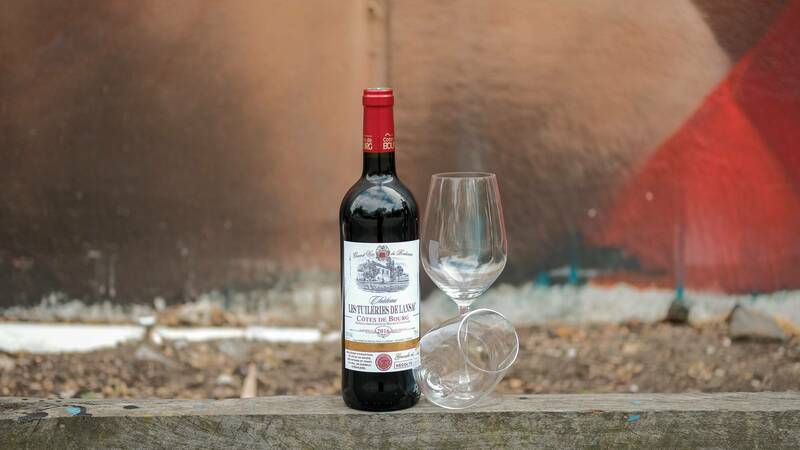 The Chateau of Les Tuileries de Lansac is an ancient winemaking bastion that has been producing exceptional wines of class and purity for a number of decades. Using traditional methods of the region like co-fermentation, a mixture of old oak and concrete vats and gentle extraction, they produce wines that are authentic but have a lightness that is not common to the region. Many of the neighbouring wines certainly have more heft and power, but the team at Tuileries de Lansac believe in elegance and freshness, and that their grapes can produce these characters, even if that’s not what most people would associate with Cabernet Sauvignon and Merlot! More power to them, however, as year in year out, their wines get finer and more precise. 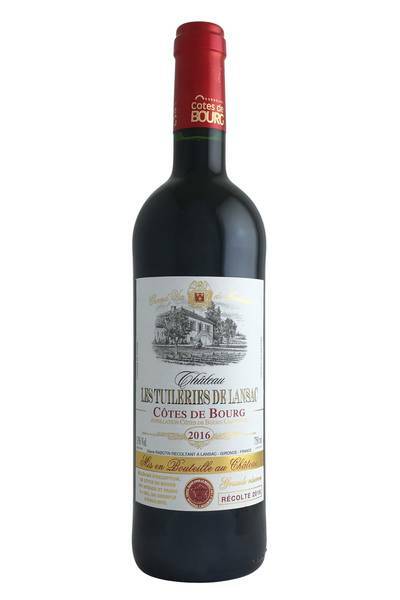 The Cotes de Bourg is a fascinating region that is starting to be recognised on the global stage for its classically proportioned blends that echo the great wines of Bordeaux. This Bordeaux blend uses a higher proportion of Malbec than is traditional, and it really shines through! Open, fragrant and with aromatics in the red fruit spectrum, this is a lighter take on the style, with some leafiness adding complexity to the fruit. The palate follows this theme, with fruits like red plum and blueberry with the Malbec showing up as a tarry/boot polish kind of thing – don’t worry, it’s more delicious than it sounds! Moderate tannins, and flavours of oak and smoky cinnamon spices on the finish. Compelling and delicious. This Bordeaux blend uses a higher proportion of Malbec than is traditional, and it really shines through! Was there ever a better red wine for food pairing than a classic Bordeaux blend, just like this one from Chateau Tuileries de Lansac? It’s a wine that just calls out for deep and savoury flavours, for rare steak or slow-cooked red meats in rich and unctuous sauces. We also love this wine served with charcuterie, pate, and meat terrines, and it’s just as good with everyone’s favourite French cheeses like a ripe camembert of runny brie. Shepherd’s pie is a safe bet, too, as well as pretty much anything that combines beef, lamb, gravy and potatoes!